PM, Infrastructure Minister meet with haredi MKs, agree to preserve status quo on Shabbat. 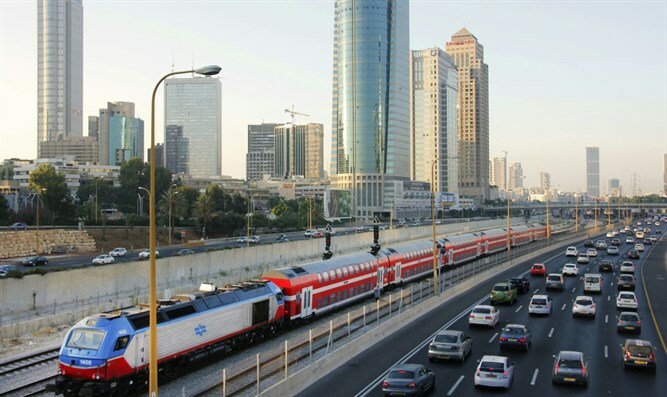 Work on the Israel Railways system scheduled to take place this Shabbat has been cancelled, following negotiations between haredi MKs, Prime Minister Binyamin Netanyahu, Infrastructure Minister Yisrael Katz (Likud), and Labor and Welfare Minister Haim Katz (Likud). The issue of infrastructure work on the Jewish holy day has been a politically explosive subject for the Netanyahu government, with ministry officials claiming the work must be done on the weekend, when traffic is lightest and the disruption minimal – and the danger of traffic accidents stemming from such disruptions are the least likely to occur. But religious MKs, both from the haredi parties and members of the Jewish Home, have rejected the explanation for the “leniency” sometimes invoked by the government to justify work on Shabbat which is otherwise prohibited under the decades-old Status Quo arrangement which has governed state policy since Israel’s establishment. Interior Minister Aryeh Deri (Shas), Health Minister Yaakov Litzman (United Torah Judaism), and Knesset Finance Committee Chairman Moshe Gafni (United Torah Judaism) met with the Prime Minister, Infrastructure Minister, and Labor Minister on Thursday to resolve the ongoing dispute and avert a possible coalition crisis. In an agreement hammered out on Thursday, railway work scheduled for this coming Shabbat has been cancelled. In addition, Infrastructure Minister Yisrael Katz agreed to issue a directive ordering the ministry not to carry out any work projects on Shabbat unless absolutely necessary. The two sides agreed to preserve the Status Quo regarding Shabbat in the public sphere, and that government ministries will work to clamp down on the growing phenomenon of activity by government agencies during the Jewish holy day.